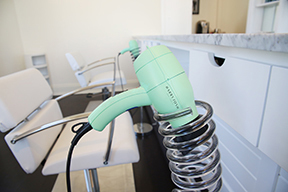 At DL Hairbar, our blow drys are a custom experience, like our cuts and colors. We style your hair to fit your head and face, with the same attention we give a haircut. Your blow dry will start with a consultation, followed by a 15 minute head massage with customized Rene Furterer shampoo and conditioner, finished with the best blow dry of your life. Your hair will be soft, smooth and uniquely you.